Easy walk to station and city central. Friendly and helpful staff. Room quite spacious. Loved the location, perfect for exploring the Christmas Markets! Staff were exceptionally helpful and friendly. Room is so clean and staff is helpful with willingness. Very spacious apartment in a lovely old building. Great location. Nice laundry room with washer and dryer on the prperty. 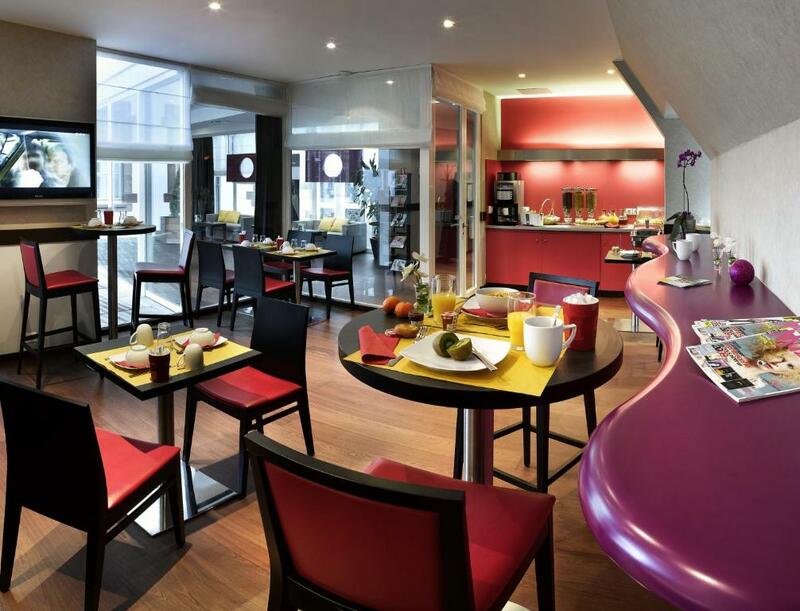 Lock in a great price for Aparthotel Adagio Strasbourg Place Kleber – rated 8.5 by recent guests! 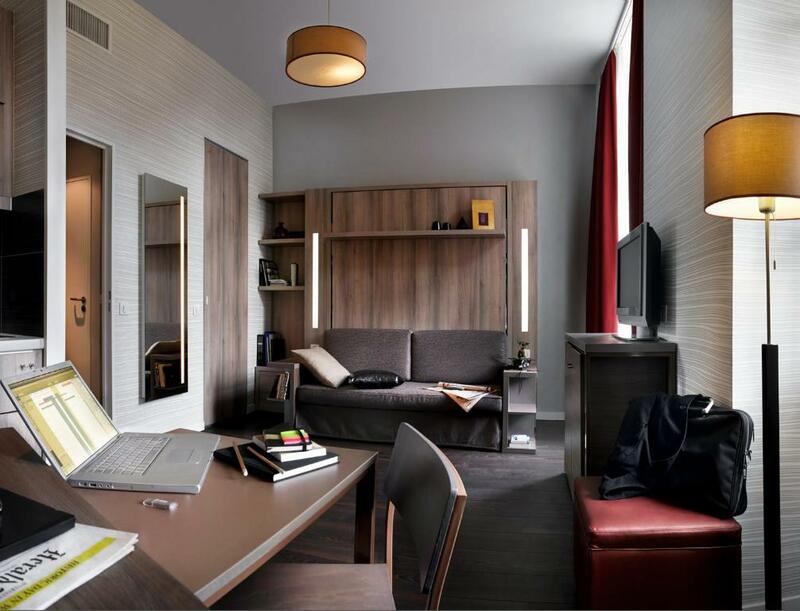 Set in the heart of Strasbourg’s historical district and 2,300 feet from the main train station, this eco-friendly residence offers free WiFi internet access. 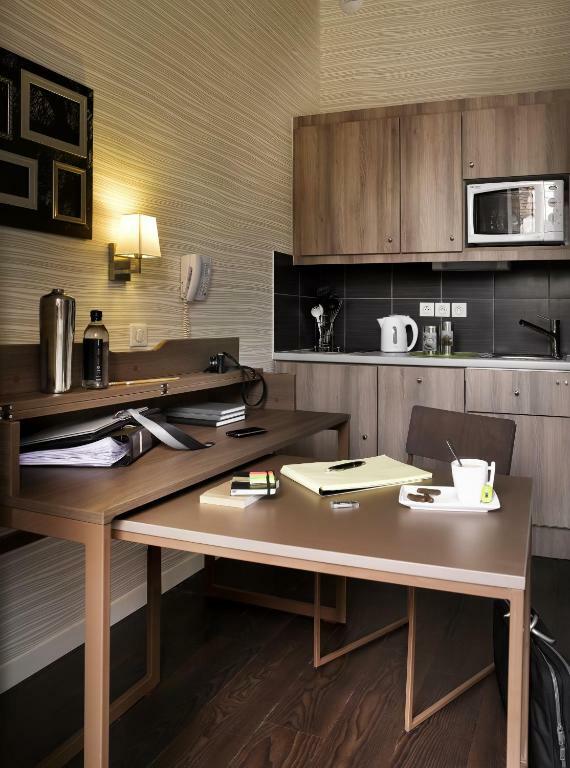 Aparthotel Adagio Strasbourg Place Kleber offers air conditioned apartments which come with a well-equipped kitchen and TV including international channels. Place de l'Homme de Fer Tram Stop is 350 feet away and the residence is 7.5 mi from Strasbourg Airport. 뀐 Located in the real heart of Strasbourg, this property has an excellent location score of 9.5! When would you like to stay at Aparthotel Adagio Strasbourg Place Kleber? This studio offers an equipped kitchen with a dishwasher and fridge. This air-conditioned apartment has a TV and a kitchen with a fridge and dishwasher. 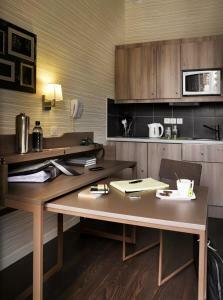 Aparthotel set within a building listed as a historic monument, 200 metres from the cathedral. 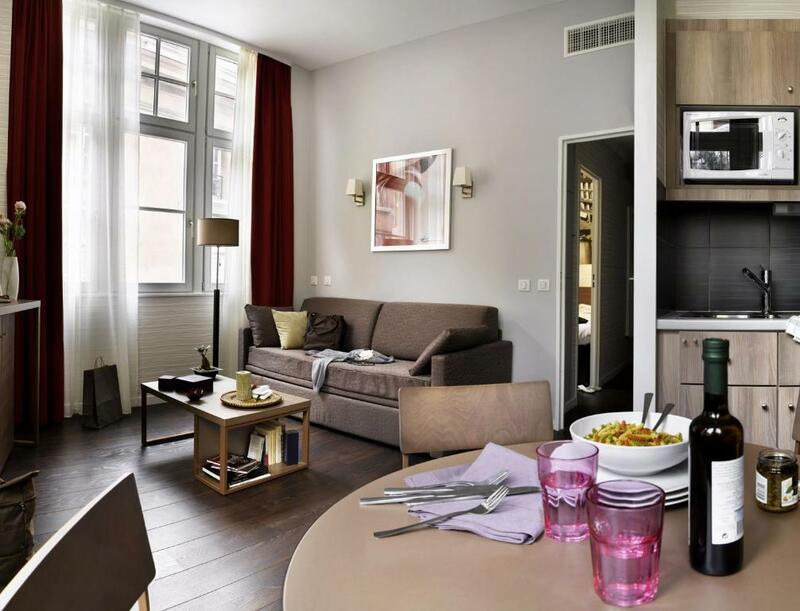 House Rules Aparthotel Adagio Strasbourg Place Kleber takes special requests – add in the next step! 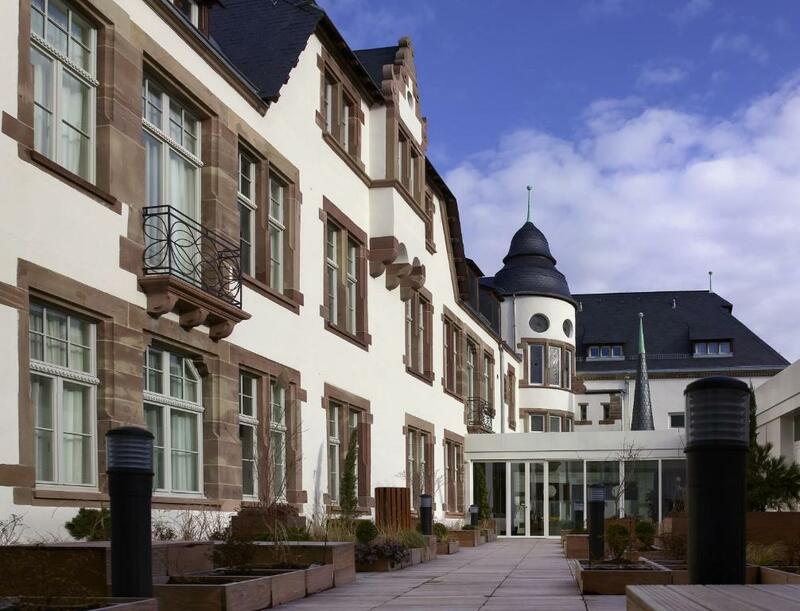 Aparthotel Adagio Strasbourg Place Kleber accepts these cards and reserves the right to temporarily hold an amount prior to arrival. I am a regular guest of this hotel. It has a perfect location in the very heart of the city. It is uncomplicated and you are very independent- a small kitchen, ironing facility in the room, no everyday cleaning and making of the bed. Kitchen could have had some simple basics - or maybe a little pack for purchase. Salt and pepper, coffee/tea, sugar. Very good location and helpful staff. Clean and had a nice bathroom. Breakfast was reasonable, though quite expensive for what was offered. Excellent wifi. Nice courtyard patio and sitting areas. The wifi was not working on ine of the mornings and there was no one to help at the reception. The smell at the toilet was not too nice. The breakfast was nice, but a bit too pricey for its quality. Clean and quiet environment. Cooking and other facilities in the room. Great location in the center of Strasbourg. The apartment was a bit depressing, not cosy. The heating worked in a strange way, it was quite cold. Great location, good breakfast with freshly squeezed orange juice and fresh croissants. Quick check-in. Comfortable bed. Very friendly breakfast staff. Reception staff (night, Raphael) is very proactive and went the extra mile for me. My request was handled in a very client-friendly way, while I was having breakfast. The heating in the room did not function as it should but your receptionist was very helpful in providing a mobile heating device so my problem has been successfully solved. The wifi connection was much better this time than the last time I stayed in your hotel, last December. Murphy bed might be practical but not that comfortable. Creaked with every move and if you dropped something it is a mission to fish it out. Toilet unfortunately left a lingering odor. proximity to and visibility to neighbor's windows. some of the lighting. the toilet bowl has a stone that can be taken with special cleaning solutions, unacceptable in my opinion at this level. The apartment has a very good location in the Kleber market, it is a quiet area close to all points of interest, it is the tram station in front, the Auchan supermaket and all the shops you need. The most important thing is that there is someone at the reception always and at any time when you arrive you can stay, as it was in our case we arrived late on the eve of Christmas. Staff are very kind and trained in English and give you very good information. I did not choose to eat breakfast there, I had everything in my room in the kitchen. It is a very well-equipped apartment with a coffee maker, and everything you need in the kitchen, ironing facilities, very good heat, very good sleepers. We felt very well together with our two children and safe during the Christmas season. At the reception you always found coffee and chocolate facilities, horns. The apartment was clean, very good wifi for free. Spacious room. Kitchen is small but complete in every detail. Great location. You can go to lots of places by walk. Heater was out of order. They charge cleaning extra . There was a bad smell in the hotel. Because it was disgrace because I was booked early and in The last three days occurred me a problem because my daughter has n.urgently to make operation and she got a child of six years and she does not has to take care the boy is six years so cut him one day before my holiday a an aeroplane tickets to be with us.When I went Baden the hotel been accepted.the boy without extra charges but adGio came with many talking and first the receipionszt wanted to pay for the child 560eoros and then 460euros and suppose.he was to me.t us meet w.ith the manager but when we made the check out he did not meet us with the manager and from the phone he speaks with France language and tell us that give us 20 per cent which comes for the prize of 360euros plus 24 euros breakfast which was very poor which the sausages were cut very small pieces like the food of the dogs and with two men always watching what we took.It is very disgrace for this company.In July I have booked for disneyland and I booked for another family for the prize 628 euros for 2 adults And one child for 5 nights.So he stole me about over.So I made an example about to book in April a room of 4 adults includes double bed and sofa bed with the prize 520 includes breakfast.So If you do not take action against the Adagio I will circulate this email for bad reviews and ratings with all your clients and more.